The fabulous Amsterdam designshop Friday Next had a lovely article about their weekendhouse in the Financieel Dagblad (Dutch financial times). AND…..Check out my giclée prints they got hanging there! Two of the drawings I made earlier for The third issue of UPPERCASES work/life are now for sell at my etsy shop. 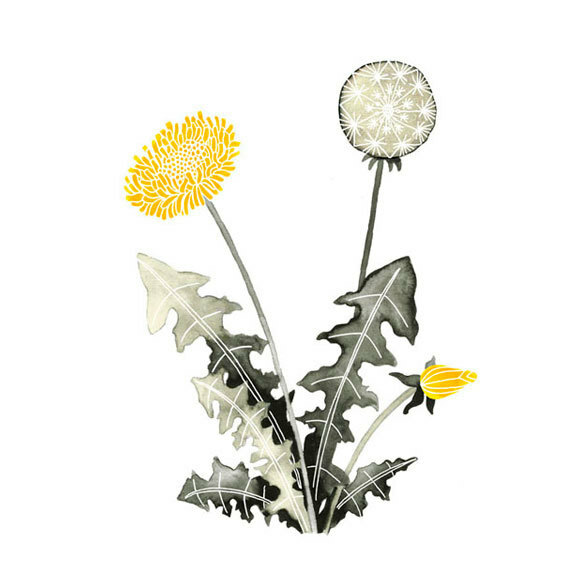 And the Dandelion drawing is for sale in my Big Cartel shop.